Hey everybody! Christmas is coming up on us fast, which means it is time to deck the halls and set up the Nativity scenes. To spread a little more Christmas cheer, I thought a list of Christmas films was in order. This is the Christmas film I have watched since I was a tyke. Christmas is never complete for me without at least one viewing of The Muppet Christmas Carol. It is a fun movie all around – and it is best viewed, in my ‘umble opinion, in the lead up to Christmas Day. 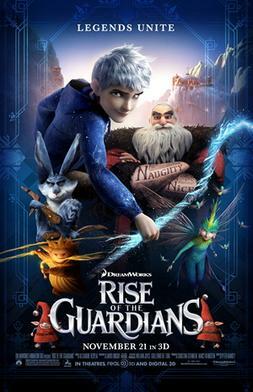 Okay, technically, the story in Rise of the Guardians is set three days before Easter. It has nothing to do with Christmas except for snow, Santa Claus (North in the film), and a lot of presents. Still, this is a great movie, and it is well within the spirit of Christmas. It may not be truly seasonal, but I feel I can recommend curling up with the family to watch this movie during the Christmas season – before or after Christmas Day. Either time in December works. Now this film has a much stronger claim to the Christmas season than Rise of the Guardians. It is perfect Christmas fare. The songs for this film are also really good. My personal favorite is When Christmas Comes to Town. 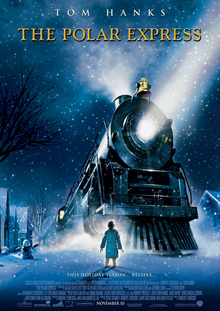 Of course, children will not be the only ones to get a kick out of the The Polar Express. It is a pity they do not make musicals in live action films the way they used to; now, one has to look for great song and dance sequences in animated films. Do not misunderstand – I like the animated routines just fine. But what is wrong with live actors and actresses dancing and singing on screen? My best memory of this show is when the Peanuts gang re-decorates Charlie Brown’s pathetic little fir tree. When Charlie Brown returns, the gang shouts “Merry Christmas!” and sings one of the best renditions of Hark! The Herald Angels Sing ever recorded. This is probably one of the reasons why that particular carol has always been one of my favorites. 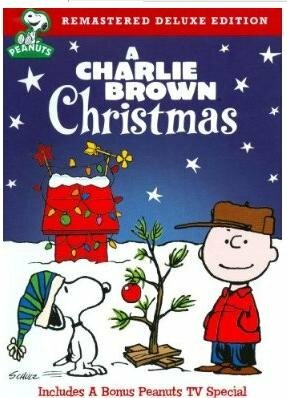 A Charlie Brown Christmas is one of the best films ever made for this season. But you needn’t take my word for it – just watch it yourself! Yes, I know. Disney’s Frozen has an even slighter claim to the Christmas season than Rise of the Guardians. It takes place in the middle of summer, for cryin’ out loud! And everybody has already written practically everything there is to write about it! All true, readers, but the fact is that I promised a friend I would list this film with my Christmas favorites. And Frozen is a great family film, so it will also be on many a Christmas entertainment menu this year and beyond. I suppose it is no surprise that Bing Crosby and Danny Kaye’s White Christmas is one of my favorite Christmas films of all time. The movie follows Crosby and Kaye, whose characters are World War II veterans turned successful song and dance performers. The two meet a sister act who also have a song and dance routine and are headed to a Vermont hotel to work for the proprietor. Almost right away, Crosby and Rosemary Clooney’s character fall for each other. But when the four reach Vermont, they find everything warm and sunny when everyone was expecting – naturally – snow! At the hotel, Crosby and Kaye find their former general from World War II is the owner. What is more, the lack of snow has led to no customers for the former general, who is on the verge of losing his establishment. I will avoid spoiling the rest of the film for you, readers. All I will say is that this is a fun Christmas movie, with great songs performed by some of the best singers from a golden era. 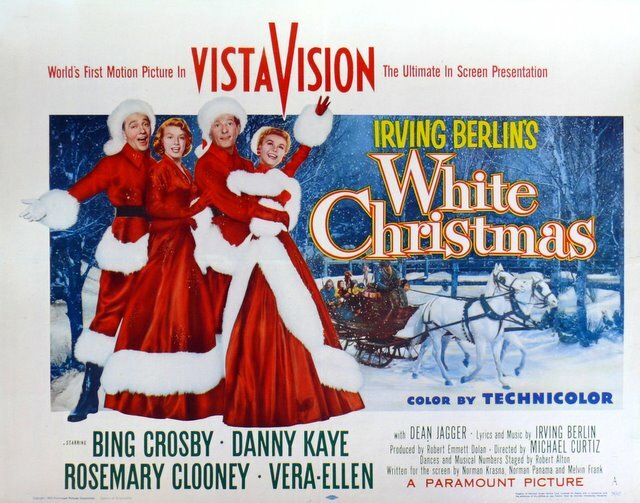 White Christmas is essential viewing for the season, in this writer’s view. If you get a chance to see it, give it a try. I doubt it will disappoint! Anyone who has watched NCIS from the beginning knows that a viewing of It’s a Wonderful Life was a Christmas tradition in Very Special Agent Tony DiNozzo’s immediate family. I have only seen this film (all the way through, at least) once in recent memory. 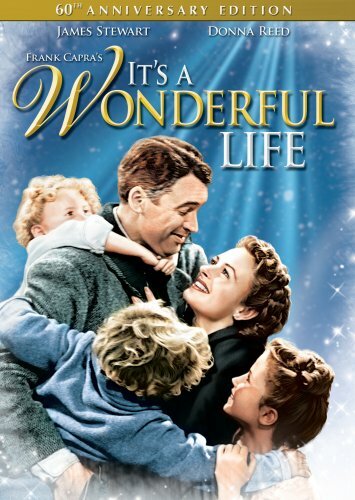 Starring one of my favorite actors from Hollywood’s “old guard,” Jimmy Stewart, It’s a Wonderful Life tells how the owner of a small-town savings and loan company runs into severe financial trouble. At this crisis, the worst Stewart’s character has ever faced, the audience is shown just how much difference one life can make in the world. While Dickens’ A Christmas Carol is a reminder to the well-off and comfortable to use their gifts for the good of others, It’s a Wonderful Life reminds viewers of the importance of living, period. 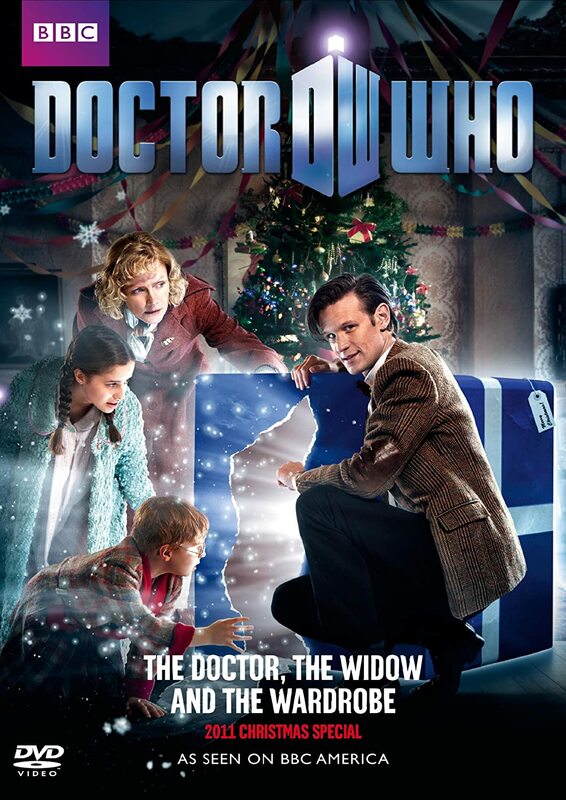 Of the two, The Doctor, the Widow, and the Wardrobe has more laughs in it than A Christmas Carol. 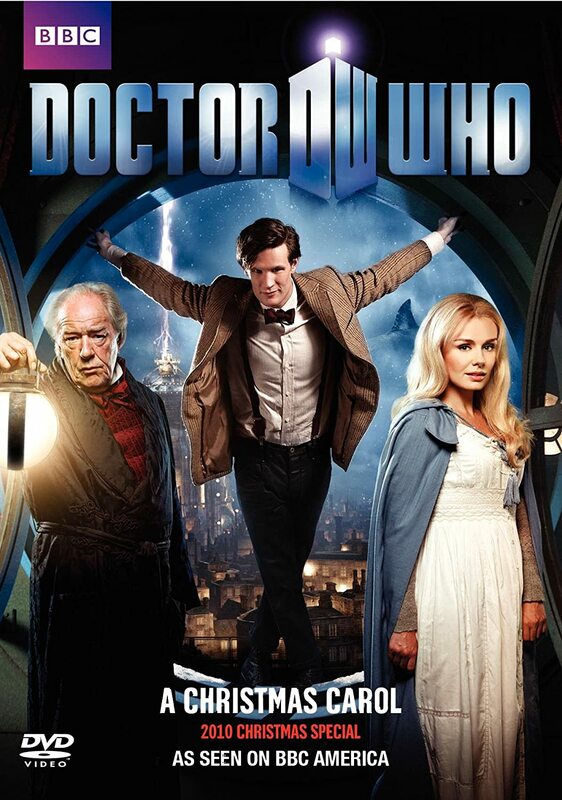 I definitely recommend you find and watch these shows, even if you are not a Doctor Who fan. I was not, and am not, a Whovian but I enjoy these particular shows no end! 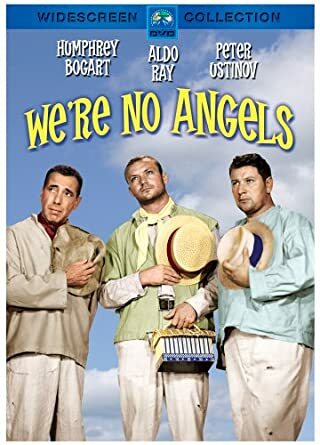 The original We’re No Angels with Peter Ustinov, Humphrey Bogart, and Aldo Ray is great fun. I will avoid giving you spoilers on this film, readers. Suffice it to say, do not buy or borrow the remake this Christmas. When it comes to this film, it ought to be the original or bust! Well, there you have it, readers. These are some of my favorite films to view during the Christmas season. I have left out some great tales in this list, but I do not want to overwhelm anyone! It is a short list full of the Spirit of Christmas – small, and seemingly insignificant, but more beautiful than any jewel, and true as the Star that guides us all. This entry was posted in Holidays and tagged A Charlie Brown Christmas, A Christmas Carol, Agent Tony DiNozzo, Aldo Ray, Bing Crosby, Charles Schulz, Chris Pine, Christmas, Christmas episodes, Christmas films, Christmas music, Christmas Songs, Danny Kaye, Doctor Who, Frozen, Holidays, Humphrey Bogart, Idina Menzel, Jimmy Stewart, Kristen Bell, Matt Smith, Michael Caine, Peter Ustinov, Rise of the Guardians, Rosemary Clooney, The Doctor, The Muppet Christmas Carol, The Polar Express, Tom Hanks, Vera Ellen, We're No Angels, White Christmas, World War II on December 15, 2017 by The Mithril Guardian. It’s that time of year again, readers! The time when you can hear “sleigh bells in the snow” and children are eagerly anticipating Santa’s visit on Christmas Eve! With all due respect to the sleigh bells, I thought these songs from one of my favorite films – The Polar Express – would bring some cheer via your computer this December. Not all of the songs below are actually from the movie; several are from the era in which the film is set. But I knew a couple of these songs almost off by heart before The Polar Express even came out. And they are in the film, so why not add them to the post? You may have to redirect from my blog to youtube to hear some of these, unfortunately. I cannot seem to find videos of certain songs that do not require redirection to that site. I do not recall having this problem before. Hopefully it will not happen too often in the future. This entry was posted in Holidays, Music Reviews and tagged Bing Crosby, Christmas, Christmas Carols, Christmas music, Christmas Songs, Frank Sinatra, Holidays, Hot Chocolate, Josh Groban, music, Music Reviews, Perry Como and the Fontaine Sisters, The Andrew Sisters, The Polar Express, Tom Hanks on December 3, 2016 by The Mithril Guardian.